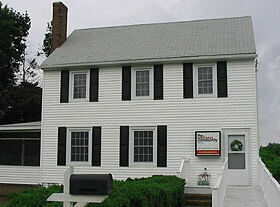 The Kent County facility is located in a pleasant and welcoming home at 812 South Bradford Street in Dover, Delaware. The location is convenient for people touched by cancer as it is located right next door to Bayhealth Medical Center. In fact, the building where patients receive their chemotherapy and radiation treatment is located adjacent to this site. We invite you to stop in and meet Jan who will give you a tour of our cozy support group rooms, adorable kitchen, comfortable sunroom and spacious tai chi and yoga rooms.